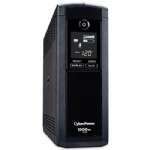 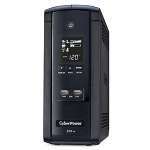 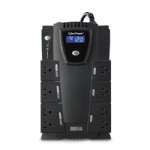 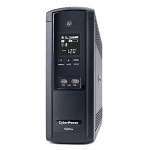 A mini-tower UPS with standby technology, the CyberPower RT650 provides battery backup (using simulated sine wave output) and surge protection for kiosk computer systems, credit card machines and receipt printers. 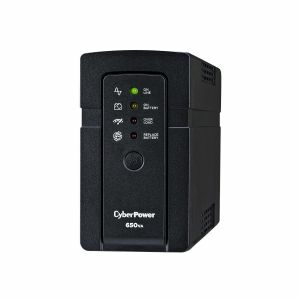 The size of the RT650 allows it to easily fit under desks or other tight spaces but despite its compact chassis the interal battery will provide long lasting backup power to connected equipment. 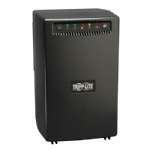 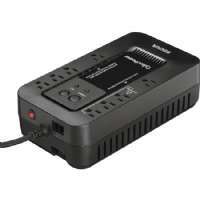 The RT650 has a capacity of 650VA / 400W and six (6) NEMA 5-15R outlets. 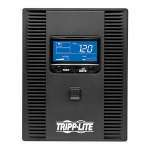 The 7Ah, 12V internal battery is user-replaceable and offers up to 10 minutes of runtime at 200W. 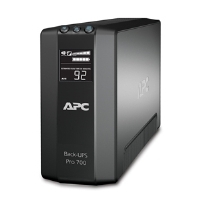 This UPS system also includes EMI/RFI filtering that shields against line noise, an HID-compliant USB port for connecting the UPS unit to a computer running PowerPanel Personal Edition and an MD-8 connection that can be used for dry-contact relays. 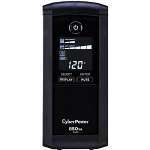 Software is downloadable at the CyberPower website for free.